Every healthcare organization wants to improve the patient experience. Traditional methods of collecting and monitoring patient feedback fall short of providing healthcare leaders the actionable insights necessary to improve patient experience. To overcome the challenges of continuous improvement, industry leaders need better analytics solutions. For the last two decades, CAHPS surveys have helped patients in the U.S. provide feedback on their healthcare experiences. While most consumer surveys focus on satisfaction, CAHPS surveys measure patients’ perceptions of the care they receive through check-box questions about the service aspects of care delivery. For example, the surveys ask patients whether doctors explained the purposes of the medications they administered or whether the medical staff was responsive when the patients needed them. These surveys are vital to healthcare organizations for a multitude of reasons. They provide critical feedback that medical facilities can use to improve their services. They also determine whether facilities receive performance-based reimbursements. For these reasons, healthcare organizations and providers take these surveys seriously as measurements of patient experience. Healthcare organizations, however, find it difficult to identify insights from and act on the results of these surveys. CAHPS surveys typically offer patients a 1-5 rating system to evaluate their providers in several areas, but this rating system is not necessarily better than a simple choice between answering yes or no. Patients might consistently rate the quality of a facility’s food as a “2,” but that rating by itself does not tell the facility how to fix the issue. When taking one of these standardized surveys about care experiences, respondents have the option to provide written feedback. This should theoretically fill in gaps and inform healthcare organizations about what they need to know in order to improve the patient experience. Despite the generally low response rates for pen-and-paper surveys, provider organizations are wary about creating survey fatigue among their patients by asking them to fill out long surveys. Even patients who are committed to sharing their experiences have difficulty providing detailed verbatim feedback related to each question on a survey with 30+ questions. The longer a survey goes on—and the more frequently patients receive surveys—the less likely patients become to provide extensive, accurate and helpful feedback. Once surveys are completed, patients’ open-ended responses, or verbatim feedback, must be interpreted. Healthcare organizations can sift through the noise to identify the best responses. This type of “busy work” takes valuable time away from employees. Front-line workers must analyze the data manually and read the comments line by line before they can identify common themes and patterns. Then, they must distill and format the information for the higher-ups—with a high margin of human error and/or subjectivity. Only then can leaders decide which aspects of their patient feedback deserve attention and which strategies would be most effective to address their patients’ concerns. This lengthy and manual process might allow healthcare organizations to glean the valuable insights they need to improve patient experiences. The results of these manual efforts, however, are bound to end up in guesswork and subjective selection of one type of comment over another. No matter how diligently employees scan through and organize the comment data, they are still vulnerable to the human disadvantages of bias and fatigue. Fortunately for hospital systems and other care facilities, there are ways to use their patients’ comments to improve their operations and enhance the patient experience. They just need a little help. The measurement criteria from CAHPS surveys haven’t changed much since their inception. These surveys were a great first step in the quest to improve the patient experience, but today, healthcare organizations need more than surveys—and new technology is the answer. 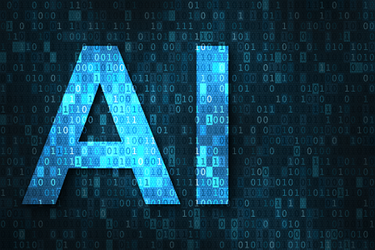 AI (artificial intelligence) technologies allow healthcare organizations to extract information more efficiently from their data. These technologies enable healthcare organizations to feed their patients’ comments into a software platform, which then analyzes the data and provides actionable insights based on language patterns and sentiment. These technologies can help healthcare organizations see the entire world of patient feedback beyond CAHPS surveys. For example, social media sites like Yelp have become venues for patients to share feedback about their care experiences. Using AI technologies, healthcare organizations can analyze feedback from multiple channels, identify common themes, and formulate action plans for improvement. For example, a large hospital system in Nebraska used NarrativeDx data to understand the impact of food services on the overall patient experience. The negative trends from patients’ comments related to the meals were specifically about the lack of variety in the foods served. The patient experience leaders worked with the hospital chef to drive improvements, whereby the chef increased the amount of fresh fruits and vegetables served with each meal in addition to offering daily-rotating menu options. Based on these improvement actions, this organization did receive positive feedback from their patients in OB units about their meals, and gained a better understanding of how to improve the food service experience for all patients. New technologies have already begun to change the way healthcare organizations respond to patient feedback, and this is only the beginning. As AI technologies become more powerful, hospitals and care providers will be able to discover—and perhaps even predict—more specific, actionable feedback from patients at rates that are faster than ever before. This advancement in surfacing insights will empower healthcare providers everywhere to provide patient-centered and high-quality care with excellent patient experiences.